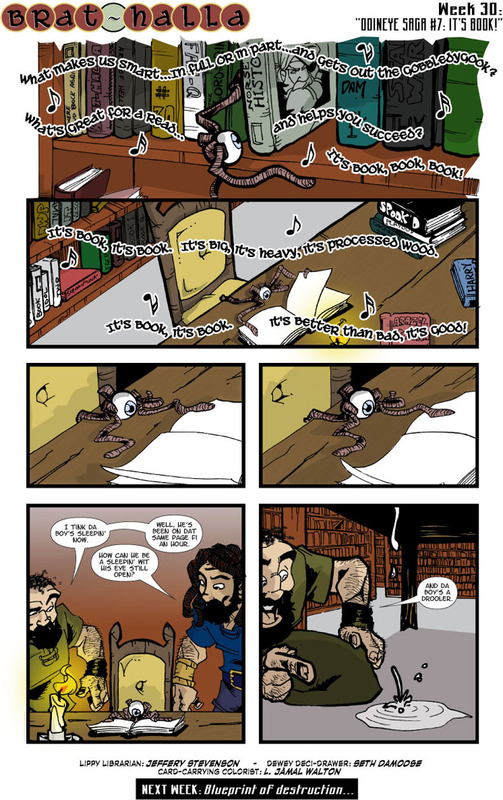 Brat-halla: Webcomic of the Young Norse Gods » #30 – Odineye Saga: It’s Book! Home » Comics » #30 – Odineye Saga: It’s Book! Hahaha… loved that show. Love the comic too! Now I have the LOG song stuck in my head. Could be worse, but yeesh. This comic is really great. The idea is inspired and the execution is fantastic. I have always really loved Norse mythology and found it interesting. To see it presented in this way is very enjoyable.